My family’s love affair with India began a long time ago; perhaps this resonates through some of my photographs as well. My grandparents came to India over 100 years to make it their home and my love, particularly for Mumbai, was instilled by them and my parents in a way that made me want to see it through their eyes. 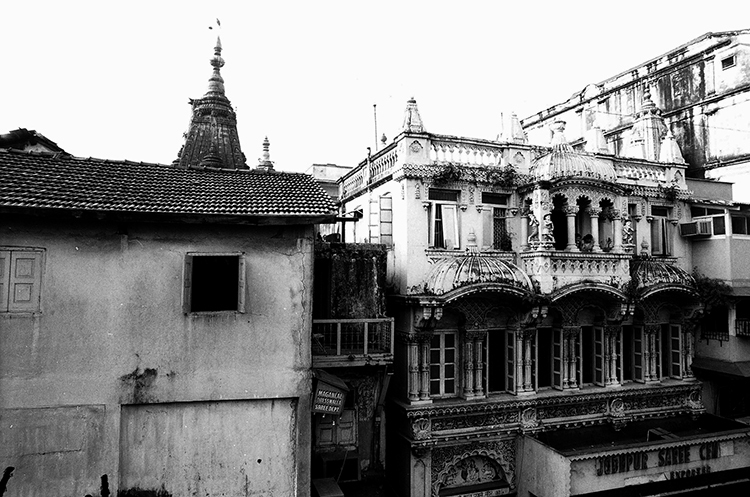 These images are from the inner city suburb of Mumbai called Bhuleshwar. I imagine that it has changed over the last many years, and images like these provide merely a glimpse of its prior life. Named after a temple dedicated to BholaIshwaar (Innocent Deity), it developed as a community centre. This history allegedly dates back to the 18th century, but as in most urban sprawls in India, a commercial and residential centre blossomed. It is not only a making of the modern Indian metropolis; with the inevitable passage of time, there emerged trading centres, schools and dharamshalas, making it a composite culture, a microcosm and hence, a frame within a frame. Daily view, Mumbai, 1997. Digital. 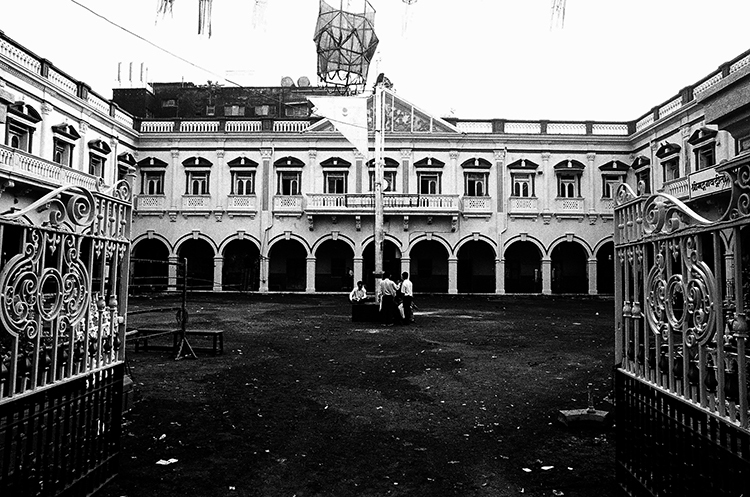 Madav Baug Pathshala School of Vedic Learning, Mumbai, 1997. Digital. 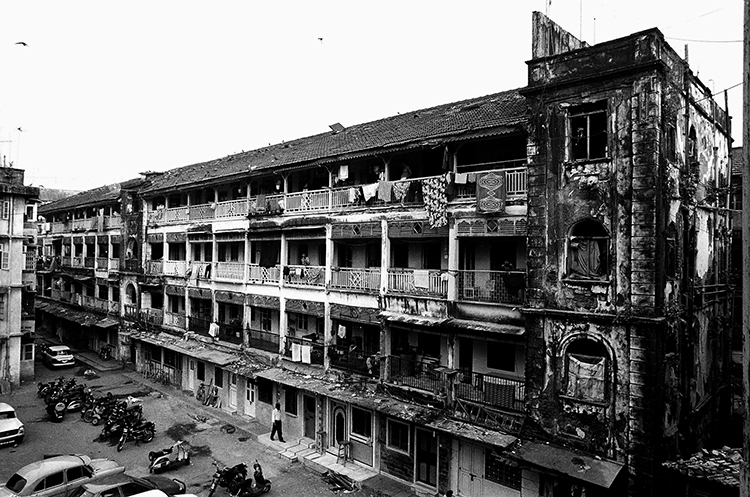 Bhuleshwar, the first chawl of Mumbai, 1997. Digital.